FYI: These are the chains that hook into your ear and connect to your nose. 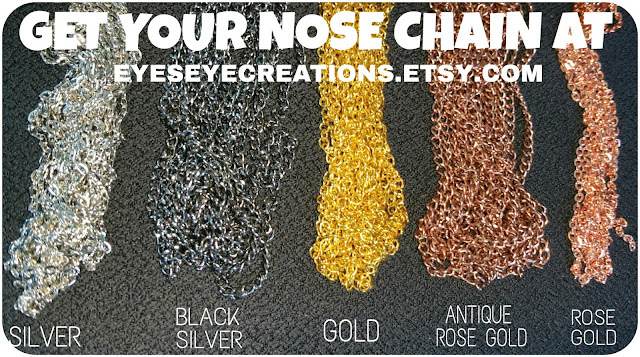 You will need to have your own hoop or stud to attach these to before inserting into your nose. They come with the chain, ear hook, and connector for the purpose of being attached to a hoop or stud you already have.